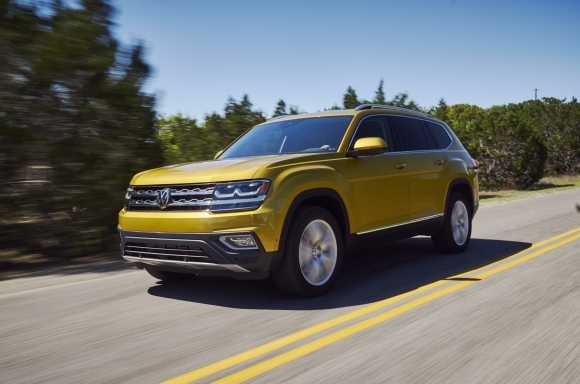 Herndon, VA — (August 1, 2018) Volkswagen of America, Inc. (VWoA) today reported sales of 30,520 units delivered in July 2018, an increase of 12.7 percent over July 2017. With 203,418 units delivered year-to-date in 2018, the company is reporting an 8 percent increase in year-over-year sales. Founded in 1955, Volkswagen of America, Inc., an operating unit of Volkswagen Group of America, Inc. (VWoA) is headquartered in Herndon, Virginia. It is a subsidiary of Volkswagen AG, headquartered in Wolfsburg, Germany. VWoA’s operations in the United States include research and development, parts and vehicle processing, parts distribution centers, sales, marketing and service offices, financial service centers, and its state -of-the- art manufacturing facility in Chattanooga, Tennessee. The Volkswagen Group is one of the world's largest producers of passenger cars and Europe's largest automaker. VWoA sells the Atlas, Beetle, Beetle Convertible, e-Golf, Golf, Golf Alltrack, Golf GTI, Golf R, Golf SportWagen, Jetta, Passat, Tiguan, and Tiguan Limited vehicles through more than 650 independent U.S. dealers. Visit Volkswagen of America online at www.vw.com or media.vw.com to learn more. Notes: This press release and images are available at media.vw.com.